Capacity: 6 qt. Color: Metallic. 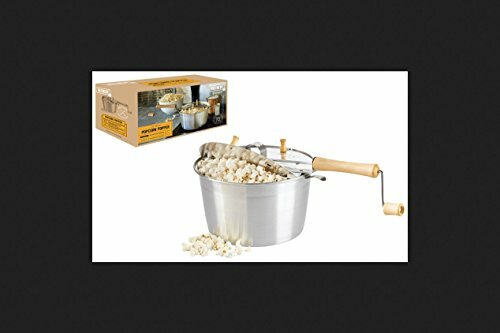 Vintage inspired stovetop popcorn popper design. Wood handle and crank stay cool to the touch for easy handling. If you have any questions about this product by Refinery, contact us by completing and submitting the form below. If you are looking for a specif part number, please include it with your message.